From October 2016 through December 2017, the OSHSB had received approval from the Office of Administrative Law for 18 rulemaking packages that had been developed, noticed, presented for public hearing, and accepted by the OSHSB. Of these rulemaking packages, two are specific to construction, one to commercial diving operations, one to the health care industry, one to petroleum refineries, one specific to agriculture operations, one to the pulp, paper and paperboard mills, and 11 that could apply to all industries. • Sections 1532.3, 5155, and 5204 are new requirements addressing the hazards of working with materials containing respirable crystalline silica. 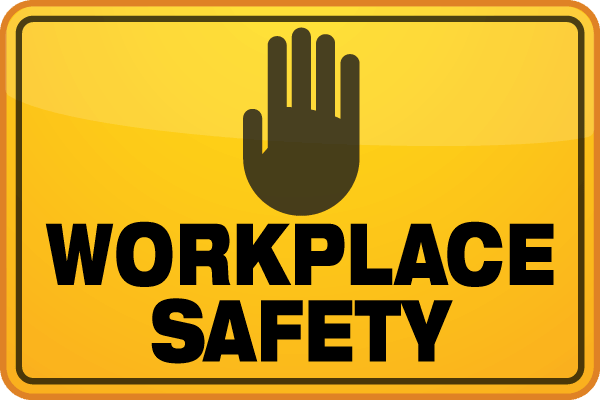 The regulations are contained in both the construction and general industry safety orders. This rulemaking was the result of federal rulemaking and was the subject of the December 1, 2017 Cal/OSHA Corner. • Section 1637(n) addresses access to elevated scaffold platforms. The Standards Board has adopted federal language relating to the use of hook-on and attachable ladders with scaffolds and rest platforms. • Sections 1711, 1712, 1713, 1717, and 1721 of the Construction Safety Orders were revised as the result of a petition to require specific safe work practices for installation and placement of rebar in conjunction with post tensioning operations. • Sections 1535.1, 5205, 5155 (existing) and 8959.1 of the construction, general industry and the ship building safety orders were revised as the result of federal rulemaking establishing new permissible exposure limits for occupational exposure to beryllium. • Sections 3207 and 3212 were revised as the result of a petition to clarify the fall protection requirements when working around skylights. • Section 3220(b) has been revised to address differences between the state and counterpart federal regulation on the Emergency Action Plan. • Section 3273(d), about catwalk working areas, has been revised to conform with the counterpart construction regulation, which permits working from an attic joist if a 12-inch plank is provided as a work platform. • Section 3328(a) uses the term “adequate design.” The appeals board, in a decision after reconsideration, determined the term was not adequate in its intent. Therefore, the board revised the regulation for clarity. • Section 3342 addresses workplace violence prevention in health care. 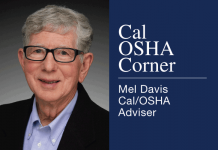 This new regulation was the subject of the February 17, 2017 Cal/OSHA Corner. • Sections 3437, 3441, and 3664(b) address the transportation of agriculture field workers, which was the subject of the October 30, 2015 Cal/OSHA Corner article. • Section 3650(t)(17), powered industrial truck operation-exception, has been revised to clarify where the lift mechanism may be situated during hand unloading operations. • Section 4306, underhung slung (jump saw) saw guarding, has been revised to require a point of operation guard in addition to the guarding now required by the regulation. • Section 4307, Exception, has been revised to be at least as effective as the counterpart federal regulation. The regulation specifically addresses a minimum saw tooth arc exposure. • Section 4412, pulp paper and paperboard mills conveyor warning sign, has been revised to mirror federal language which specifically warns employees of the existence of overhead conveyors. • Section 5155 (two rulemaking packages), airborne contaminants: benzyl chloride and wood dust and western red cedar have been revised to be current with published data. • Section 5189.1, process safety management for petroleum refineries, was the subject of the June 16, 2017 Cal/OSHA Corner article. 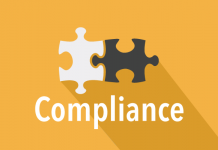 • Sections 6052, 6056, 6056.1 (new), 6057, 6060, and 6052, commercial diving operations, have been revised to mirror the federal regulations as the result of a complaint filed within the federal jurisdiction that California’s regulations were not as effective as the counterpart federal regulations. A full copy of these revisions may be found with the list of approved regulations on the Cal/OSHA Standards Board website at www.dir.ca.gov. Column based on questions asked by callers to the Labor Law Helpline, a service to California Chamber of Commerce preferred and executive members. For expert explanations of labor laws and Cal/OSHA regulations, not legal counsel for specific situations, call (800) 348-2262 or submit your question at www.hrcalifornia.com.